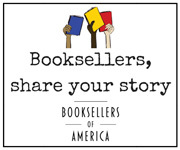 The Independent Publishers Caucus is an advocacy group with a mission to foster a true and mutually beneficial sense of community among independent publishers, between publishers and booksellers, and with readers through a variety of initiatives and shared resources. This meeting is by invitation only to independent publishers and their staff. For more information, visit www.indiepubs.org/winter-institute or email info@indiepubs.org.